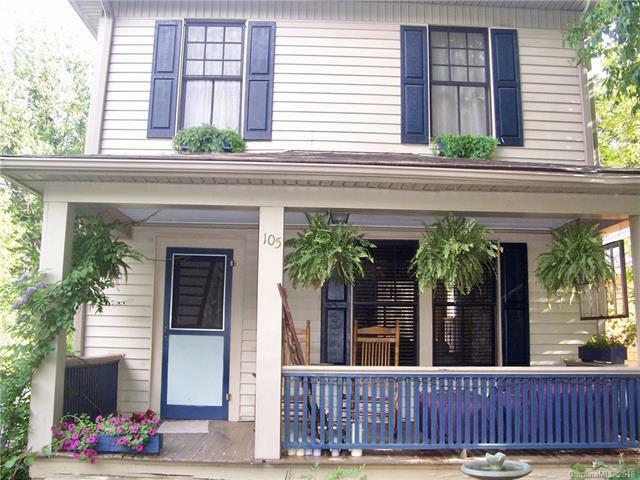 105 Woodrow Avenue, Asheville, NC 28801 (#3410095) :: Robert Greene Real Estate, Inc. In City Living! in this fantastic move-in condition 2 story w/English Garden in front. Short term furnished rental possibility, seller will consider selling furnished at increased price. Walk to Trader Joes & you can walk to town easily, yet w/lush back yard to feel like your own private oasis. Beautiful, original pine floors, bright and light, rocking chair front porch, and large new back deck. Dynamite kitchen, could add 1/2 bath in laundry area, and original claw foot tub. Nice size bedrooms, 3rd bedroom would be great office. X-tra man-girl cave space in basement. You will love the feel of this space!